Given that such privacy policies are lengthy missives filled with lots of complicated, mind-numbing legalese (not to mention presented in the tiniest of fine print), many of us scroll quickly through and click the box without a second thought. In doing so, however, we likely are compromising our privacy. Motivated by a desire to help users comprehend the important privacy and security implications of such documents, Fawaz and collaborators from the University of Michigan and École Polytechnique Fédérale de Lausanne (EPFL) in Switzerland have developed a unique online chatbot that can answer, in simple language, questions about specific privacy policies without requiring users themselves to weed through all of the fine print. 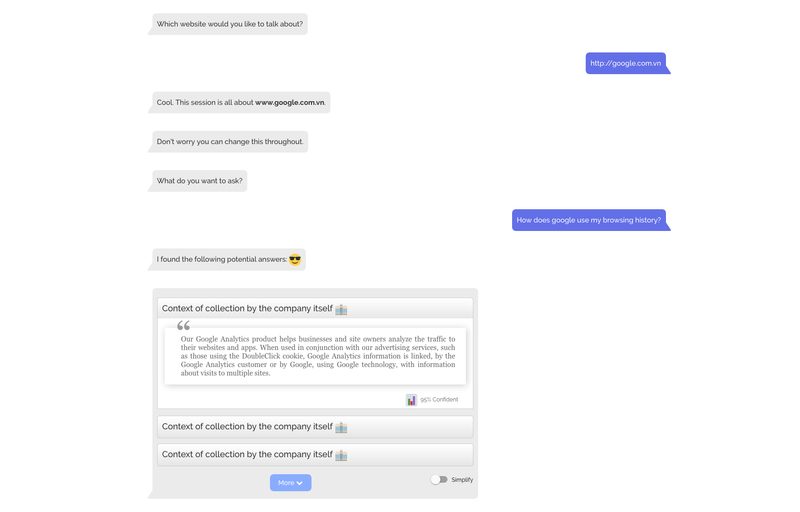 Located at pribot.org, the automated question-answering chatbot looks and functions like a text-messaging conversation with a good friend, complete with blue and gray speech bubbles and fun emojis. The chat screen of Pribot answers questions about privacy policies in a fun, easy interface. If the chatbot can’t find the website users are asking about, it volunteers to search for and add it. Currently, the site’s database includes more than 14,000 privacy policies. As a companion to the chatbot, the researchers also created a tool called Polisis. It shows users, in an engaging, colorful, easy-to-comprehend graphical format, what types of data companies collect, how and why they share it, how they keep that information secure, what data they store, how data from children (via networked toys, for example) is treated, an overview of users’ options for controlling the use of their information, and more. Polisis is available through pribot.org and also as an add-on or extension to some internet browsers. “We want to help a great many people — hundreds of millions, or even billions, of people — enjoy a rapidly increasing number of mobile products and services without risking their privacy by developing and distributing scalable, easy-to-use tools,” says Kang Shin, a University of Michigan professor of computer science and electrical and computer engineering. Although there are commercially available privacy protection and monitoring services — including those developed by IBM and Google — they work in preconfigured scenarios or in more general situations such as discussing the weather or ordering food, says Hamza Harkous, a postdoctoral researcher at EPFL. Training its system is exactly what the research team did. Under the hood, Pribot and Polisis draw heavily on an aspect of artificial intelligence called natural language processing. In Pribot and Polisis, the researchers accounted for such factors as variations in spelling, simplifying the policy text for non-experts, and visually presenting the information without overwhelming users. “Making the interface smooth and the system as real-time as possible was also an essential requirement for us,” says Harkous. “We believe people really do care about privacy, and we want to help them take active steps to protect it,” says Fawaz. And, by way of full disclosure, the researchers also are collecting data from user interactions with Pribot and Polisis with the goal of improving their performance. 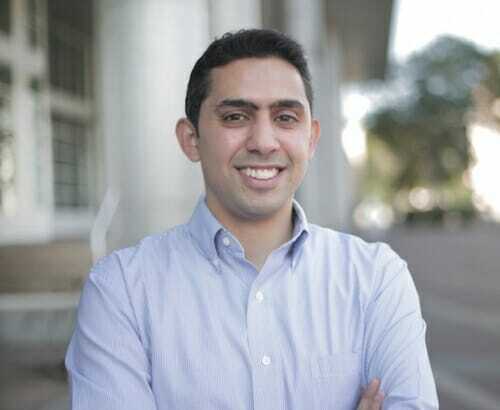 In addition to Fawaz, Shin and Harkous, other collaborators include Florian Schaub of the University of Michigan and Rémi Lebret and Karl Aberer of EPFL.